Place broiler rack 6-inches from the heat source; preheat broiler. In medium bowl, stir together flour, cornmeal, sugar, baking powder and salt. In small bowl, beat together milk, egg, and butter; add to flour mixture along with ¾ cup of the corn kernels; stir just until flour mixture is moistened. In 10-inch skillet with heat-proof handle (or wrap handle in several thicknesses of aluminum foil), over medium heat, place 1 tablespoon of the oil; heat until hot. 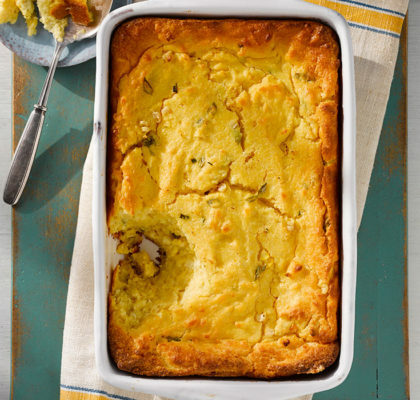 Spoon ½ cup of remaining corn kernels into the center of the pan; pour ½ of the batter onto corn; spread to edges of pan. Heat until edges of pancake start to bubble. Place under broiler; broil until pancake is brown and firm in the center, about 7 minutes. Remove pancake to a serving plate; cover to keep warm. Repeat with remaining corn kernels and batter. Cut pancakes into quarters and divide among 4 plates. 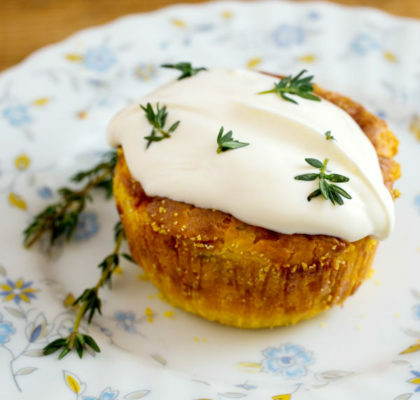 Serve with Apricot-maple syrup. 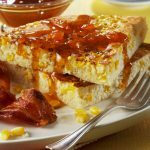 In a 2-cup microwavable measuring cup or bowl, combine 1 cup apricot preserves, ½ cup maple syrup, 1 teaspoon cider vinegar, 1⁄8 to ¼ teaspoon ground red pepper, if desired, and 1⁄8 teaspoon salt. Microwave at high power just until hot, 30 to 45 seconds; stir and serve. Makes about 1-½ cups syrup. 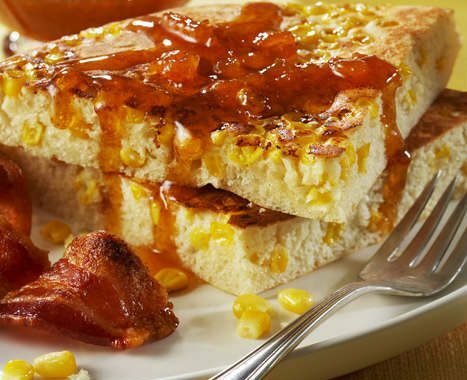 Sweet corn cakes are one of the more unique delights that can be made from sweet corn. 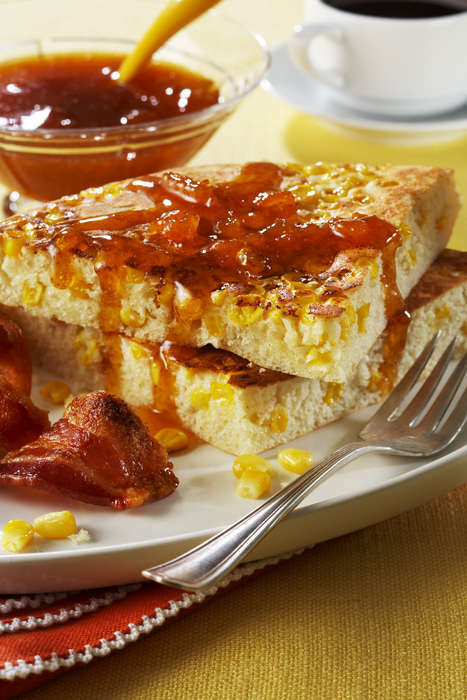 These sweet corn cakes have been around in one form or another since corn was first cultivated as a food crop and they have been an old fashioned comfort food for generations throughout the agricultural areas of the United States. They were made during the depression, a simple staple food when no one was buying the fields of corn farmers had planted. Now it can be a tribute to the legacy of our forefathers and a healthy way to incorporate more fiber and whole grains into our families diets. Once you’ve made is breakfast for your family they’ll be asking for them again and again. For those who like their pancakes drenched in sticky sweet syrup there’s also a wonderful recipe for an apricot maple syrup that will make this breakfast treat even sweeter. On the other hand, the pancakes themselves could be made into a more robust breakfast by leaving out some of the sugar and adding in a little more salt, topped with salsa and sour cream. Make it your own and make it your family’s go-to breakfast. They can be a great lunch or dinner too! Palm Beach County, FL is the largest sweet corn producing county in the world.